On Thursday August 9, the summer interns, Megan and Kelly, of Public Health Institute’s IWAY showcased their experience and newfound knowledge from their internship. 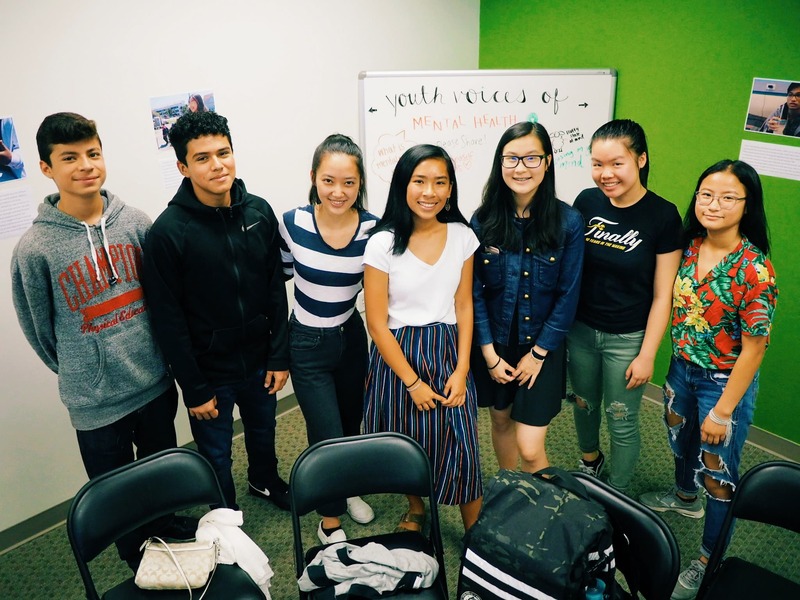 Their main focus throughout the summer was outreaching to youth in the Bay Area in order to break down the stigma of mental illnesses in API communities. One specific project they worked on was their own spin-off of Humans of New York, a social media campaign that told the stories of regular people walking through New York. Megan and Kelly photographed and interviewed API youth in the Bay Area involving their personal stories and experiences with mental health. During their showcase, Megan and Kelly mentioned that they did not recognize the prevalence of mental illnesses until the personal conversations they had with the API youth. These conversations also allowed them to help spread awareness about the resources IWAY provides to youth who may be struggling with mental illnesses. Another project they worked on was designing a new logo for IWAY. Like all design projects, Megan and Kelly had various drafts of designs that they might use. For example, there were designs with bamboo, fists, and mountains. These symbols, in their opinion, were great reflections of the work done at IWAY. Through trial and error, Megan and Kelly decided to go with the design of a lotus, which they preferred because of its simplistic look. Overall, the presentation was informative in helping us understand the work that Megan and Kelly did during their internship. We, as the audience, saw their achievements and growth. Although Megan and Kelly met some challenges along the way, they were able to move past them and quickly adapt to new changes. A highlight, or something they will remember forever, from their internship might be the robbery that happened, which caused all their footage from their original project of a video to be greatly lost. Their legacy from this internship is shown in their successful social media platforms, such as Instagram. By posting personal stories, they have gained a bigger audience and more support. This is definitely something that YAC is trying to improve on, because our very own social media platform on Instagram is quite inactive. We have learned a lot from the teach back by Megan and Kelly, and we plan on using our new knowledge to better YAC. This entry was posted in YAC News and tagged community organizations, oakland, youth leaders. Bookmark the permalink.